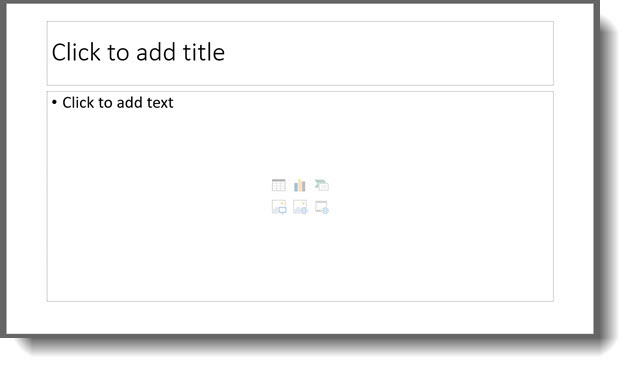 Every new slide, with text placeholders, have some informational prompt text to let users know it is available. But the prompt text does not need to be the Microsoft supplied text! The prompt text can be updated to personalize to the audience, topic, or content needs.